World AIDS Day is tomorrow, December 1st. 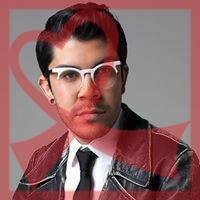 Reflecting on my own journey living with HIV—starting with the idea of self-love. I created this design to honor those who we have lost to HIV, acknowledge the progress made since the outset of the epidemic and remind us that there is still work to be done in the fight against HIV/AIDS. I hope others will use this as source of inspiration and an opportunity to start a new conversation. Will you take a stand against HIV/AIDS with me on World AIDS Day and apply this filter to your Facebook profile picture? Please visit www.ProjectIDesign.com to download the filter—the site walks you through all the steps and it takes minutes to apply. Please also share this with others and encourage them to update their photos as well, because while we may not all be infected by HIV, we are ALL affected by HIV. The designers are divided into two teams and must create cohesive mini collections inspired by different decades. 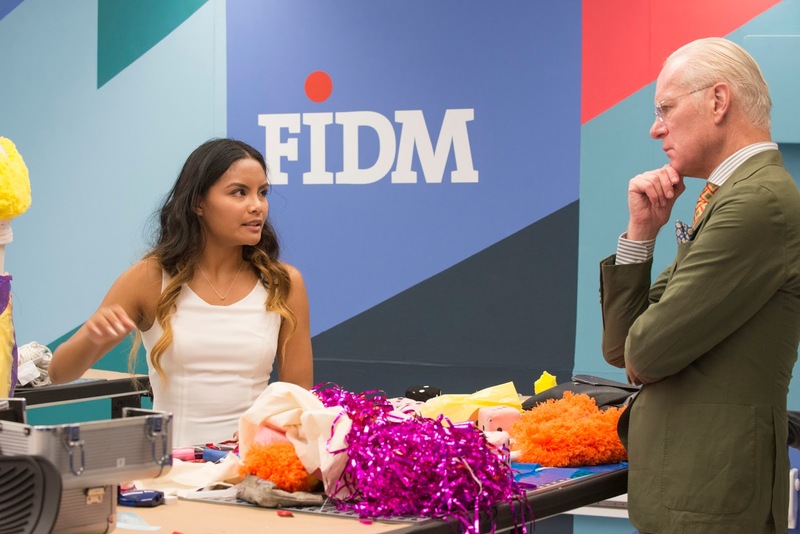 The Project Runway Junior designers went to the car wash for an unconventional materials challenge. What did you think of the results? Post your reactions to Episode 2 here. 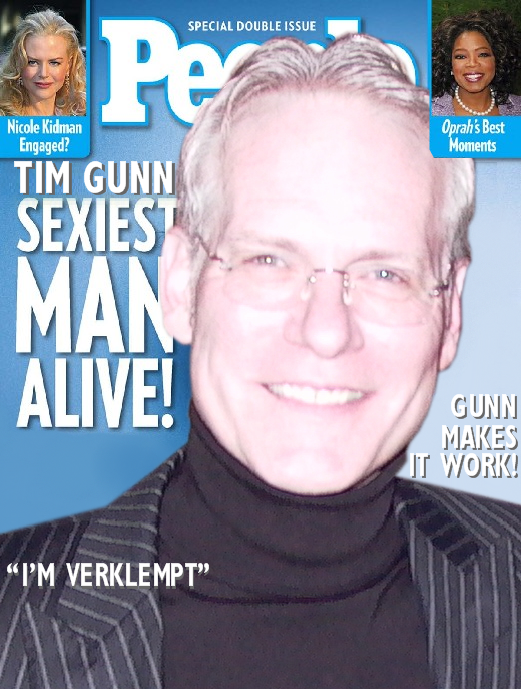 Hi everyone - we have another double whammy tonight as we celebrate Tim Gunn's Throwback Thursday Special followed by Episode 2 of Project Runway Junior. No one seems to have any idea what the Throwback Special will consist of other than a rehash of past drama and Tim voiceovers. PR Jr. gives us an unconventional materials challenge with a trip to car wash. Click the comment tab to join the party! BPR Field Reporter Tina Guthmann attended Sam's show in Boston and sends us this report - thanks Tina! Sam Donovan, runner-up in the first season of Lifetime’s Under the Gunn, presented his collection as a part of the Fashionably Late series at Boston’s Liberty Hotel on November 5. Sam is a native of the Boston area, so it’s always fun to support him. This time, Sam presented what I like to call a ‘sporty glam’ look. We know that athletic wear is the new casual wear for those who work out (and those who don’t) so I was happy to see Sam’s interpretation. He takes it up a notch and makes it dressy, too. His inspiration was a Twitter argument that attacked Serena Williams for looking masculine and resulted in author JK Rowling coming to her rescue. How is that for the start of a collection? As Sam states,"It just felt like this amazing, empowering moment that challenged the idea of what it meant to "look like a woman". There have been so many instances challenging what is "womanly", and could feel the fury that Rowling and Williams must have felt at that comment. So I wanted both a sporty feeling, but the look of a warrior, so I looked to Furiosa and Mad Max for a little bit of edge; yet another challenge to the conventional idea of femininity. Click here to continue and to see more photos. The young designers must create garments using items found at a car wash. 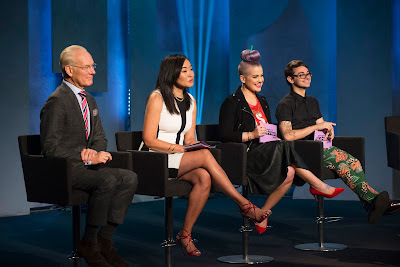 It was a double dose of Project Runway tonight as we bid farewell to Season 14 and hello to project Runway Junior. 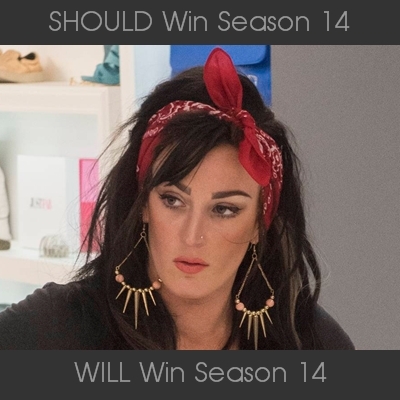 What did you think of both? Post your reactions here. 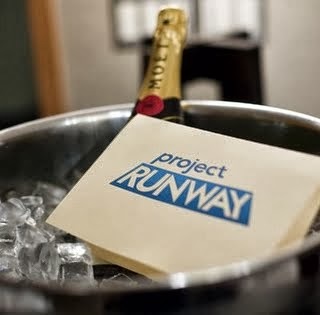 Hello again Project Runway fans! We have a big night ahead of us as we say a final farewell to the S14 designers with a one hour reunion special followed by the premiere of Project Runway Junior. We will meet 12 talented teens who will battle it out on the runway each week to compete for a scholarship to FIDM, $25,000 and other prizes. The BPR party crew is ready to watch it all go down. Click the comment tab to join in! 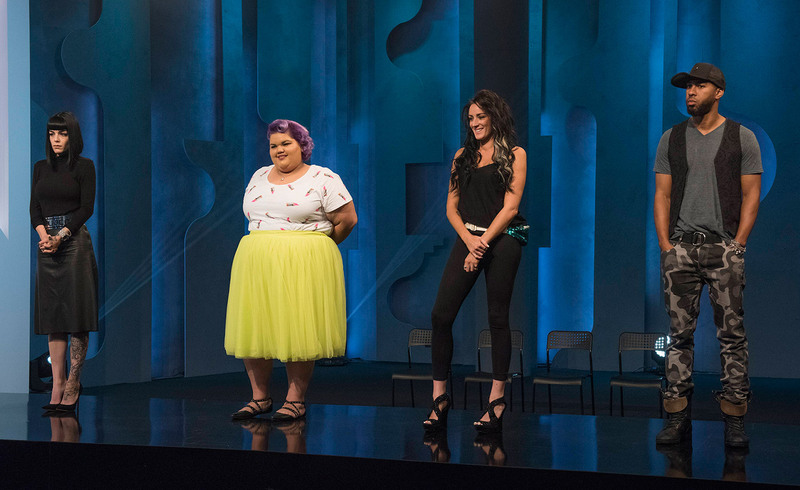 Project Runway Junior, "Welcome to New York"
And Toyouke is finally free! Thank you recappers, see you in Season 15? 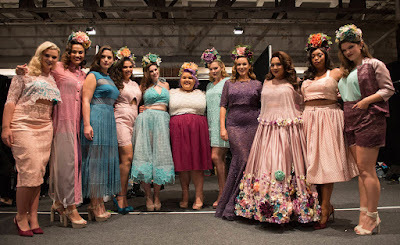 Project Runway Season 14 winner, Ashley Nell Tipton talks about her experience on the show. BPR: What has been the best thing about winning? ANT: Just being able to share this with my family and friends. They have been in this with me and have always supported me and now they share in the win. 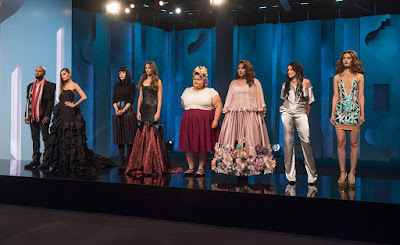 BPR: Which is your favorite look from your finale collection? ANT: The purple lace two-piece dress. 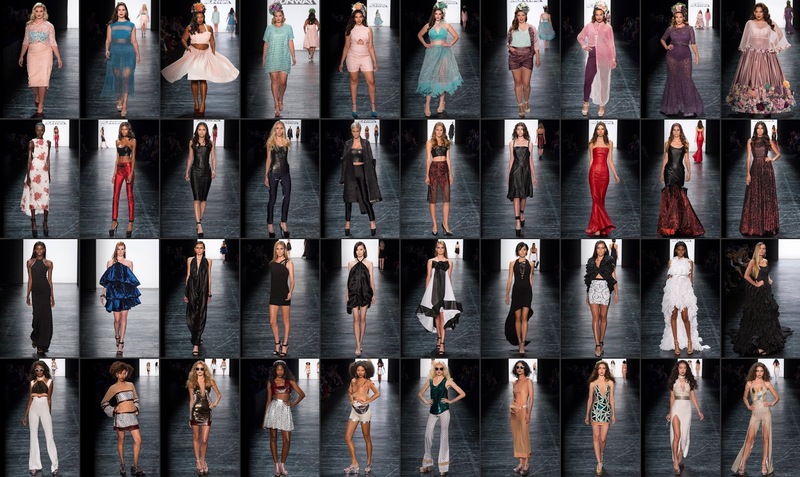 Of course I loved every look so it is hard to choose. 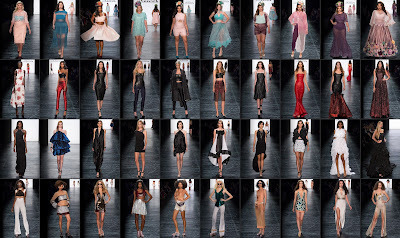 Click here to see Ashley's Finale Collection. Click here to visit Ashley's website. Who Should Have Won Project Runway Season 14? We have a winner! 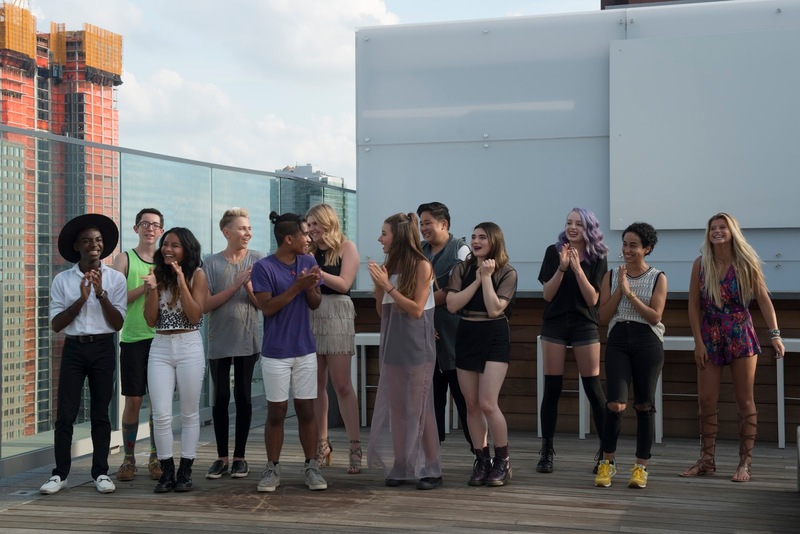 Project Runway crowned its Season 14 champ tonight in dramatic fashion. What did you think? Post your reactions to the finale here. This it! Tonight Project Runway crowns its Season 14 champion in a two-hour finale. It's been a season of ups and down both on and off the runway. The BPR party crew is ready to snark their way through along with you. Simply click the comment tab to join the party! You felt that Kelly Dempsey SHOULD and WILL win Season 14 of Project Runway. Click here to see how you voted. Check back with us tomorrow to cast your vote on the finale collections after seeing the garments on the runway tonight. Conclusion. The winning designer is crowned in the Season 14 finale. Before that, the designers scramble to retool their collections following a brutal critique with the judges. And Toyouke's time will not be wasted. Thank you recappers. Next week, the finale!